On Friday the 15th March 2019, Delhi Deputy Chief Minister Sri Manish Sisodia, Delhi Rajya Sabha Member Sri Sanjay Singh, Contestants from Delhi for Parliament Membership Sri Raghav Chadha and Ms. Atishi and a number of others were staging a protest at the gates of Election Commission and raising slogans, and demanding an immediate meeting with ECI, about Police raids without warrants on AAP call centers. and other ways, intimidating the call centers and their staff. 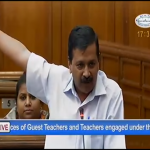 Ironically, the fourth raid in three days happened about one hour after Deputy CM of Delhi Sri Manish Sisodia had met CEC Sri Sunil Arora about this very issue on the morning of 15th March 2019. 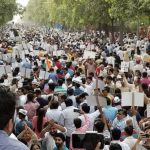 AAP Protest at EC Office: In the above background, AAP people as above staged a protest with slogans in front of ECI’s office, and demanded an immediate meeting with the EC, to stop this harassment and intimidation. They then had a meeting with EC, and demanded suspension of some specific senior police officers who were involved in these raids, and also demanded a stop to such police intimidation and harassment. AAP asked EC to investigate as needed, without police involvement, if EC had any questions about this matter. Further, AAP asked EC, what wrong had AAP committed if any, in this matter? Was it wrong to make sure that voters’ names are not wrongfully deleted or to ensure re-enlisting if they were wrongfully deleted? Was it wrong to try to ensure that all voters have their names in voting lists as they should be? Delhi Police Under Central Government: Delhi Police comes under Home Ministry of Central Government which is now under BJP rule. A few weeks earlier, as I recall, CEO of Delhi had issued a press statement that there were reports of “fake” phone calls about voters’ names being deleted from voters’ lists and that police would take action against anyone making such phone calls. Failure of Election Commission to do its functions properly: If the election commission functioned properly, there should have been no problems like incorrect deletion of names of voters from voter lists, and there should also be no fake voters’ names. 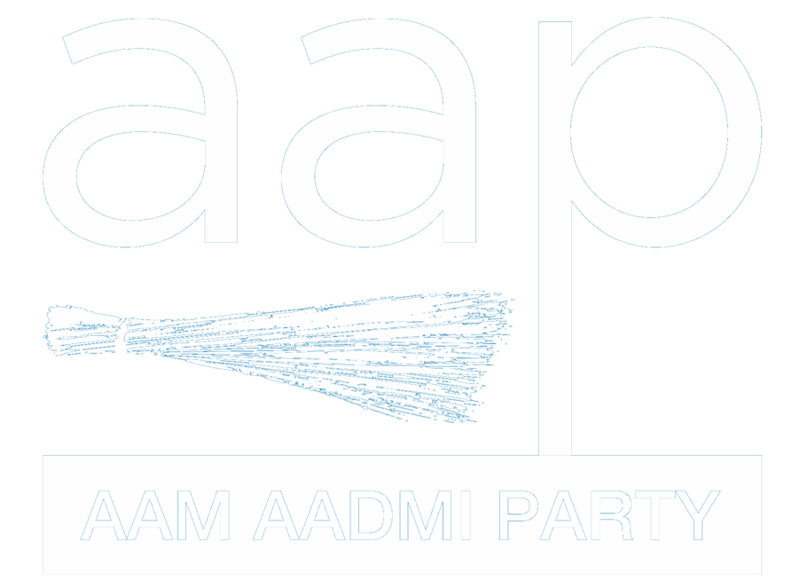 If any voters’ names were incorrect, the Election Commission should have taken prompt steps to rectify the situation immediately with its own resources, without AAP needing to engage in such work at the cost of AAP. If voters’ names were incorrectly deleted, another question would be, were the names thus deleted were of special interest to any particular political party/ies? 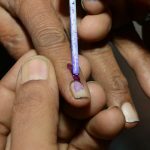 There were reports/allegations that the deleted names were disproportionately high, of voter categories like Dalits, Muslims, small business people, Vysya community persons, and persons of Uttaranchal origin (Eastern UP and Bihar), all of which were suspected to be unfavorable to BJP. “ruling party in the Central Govt”), is there not a conflict of interest in favor of the ruling party? Human beings being what they are, there seems to be automatically, a huge potential for conflicts of interests. A process of appointment of Election Commissioners needs to be reformed to not allow such potential conflicts of interest. In a democracy, the rights of all citizens to be able to vote, and the rights of the society as a whole to have all genuine voters be able to vote, and to avoid and prevent any fake voters, is a very fundamental requirement. Deletion of about thirty lakh (30,00,000) voters as above, without a proper process to ensure the accuracy of this exercise, or worse, with malicious intent to distort election results, is a very serious problem. It is a crime against the democracy of our country. These processes are in need of very serious reform, and there need to be strong safeguards to ensure ongoing accuracy of voters’ lists at all times. People of Delhi elect a Government, but Delhi Police is not answerable to the Government elected by the people of Delhi. Delhi Police comes under Home Ministry of Government of India. Effectively, in this regard, the people of Delhi are treated like second class citizens of India. Central Government gets this power to treat people of Delhi this way, by the votes that people all over the rest of India have given to elect the Central Government. People of the rest of India should not tolerate this kind of mistreatment of their fellow Citizens living in Delhi. The law needs to be changed to give full statehood to Delhi. Delhi is being tortured this way by these political parties, what does it say about their true character? Can they represent our values? Should Indians in the rest of India vote for such parties? I think not.